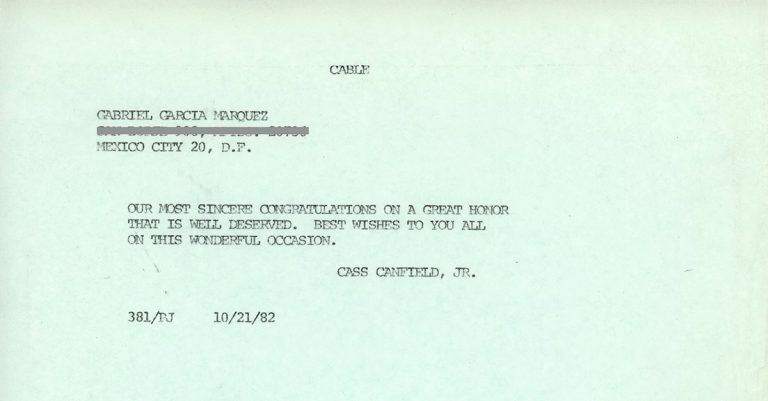 Telegram dated October 21, 1982, in which Harper editor Cass Canfield Jr. congratulates Gabriel García Márquez on winning the Pulitzer Prize for One Hundred Years of Solitude. 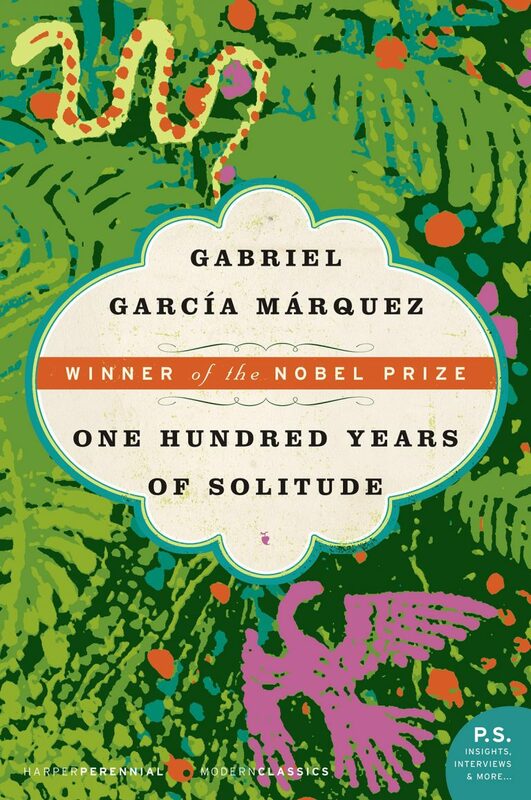 Gabriel García Márquez drew on his childhood experiences in Colombia when crafting the story of the fictional Buendía family in the classic One Hundred Years of Solitude. 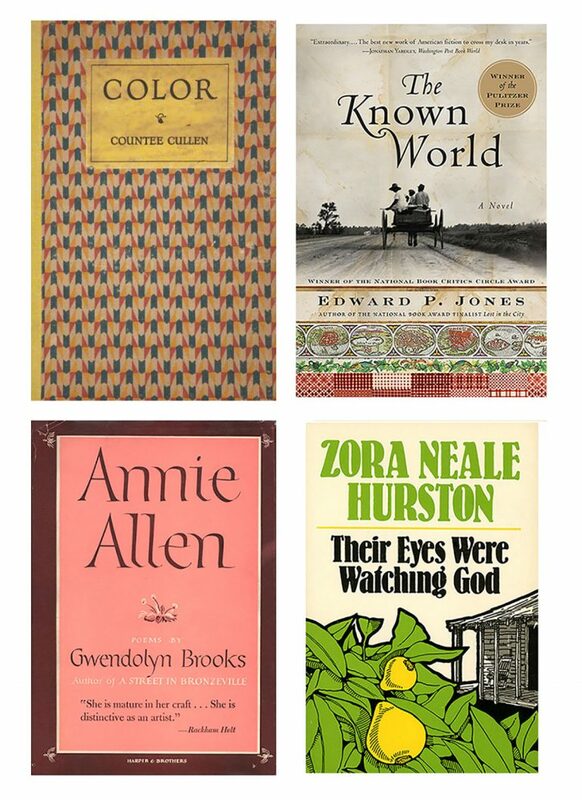 He used magical realism to capture the essence of a culture and a family in peace and at war, in poverty and affluence. 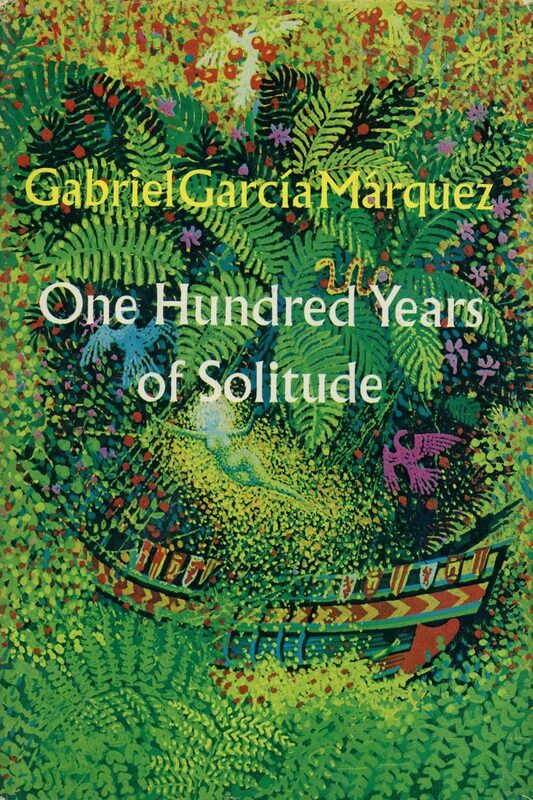 When Harper & Row published the English translation of One Hundred Years of Solitude in 1970, it revealed the reality of a distant culture to North Americans. 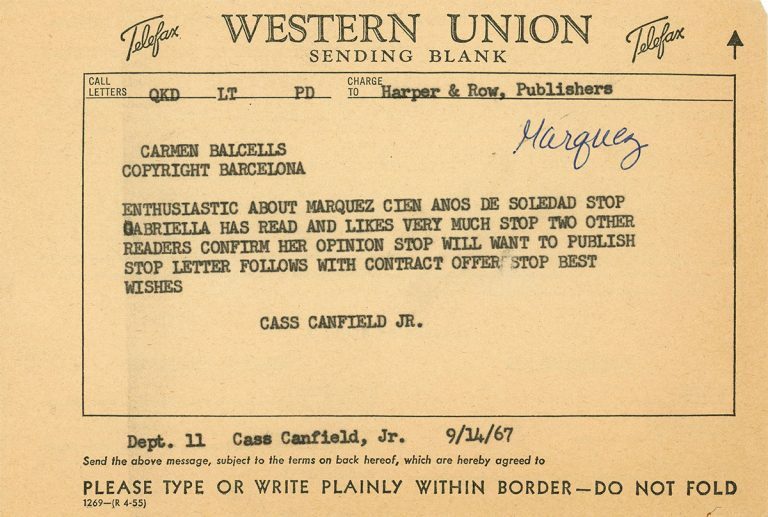 García Márquez’s book not only reflected the Latin American zeitgeist, it also resonated with the growing civil rights and counterculture movements in North America—even as the author himself was barred from receiving a U.S. visa on account of his early ties to communism. 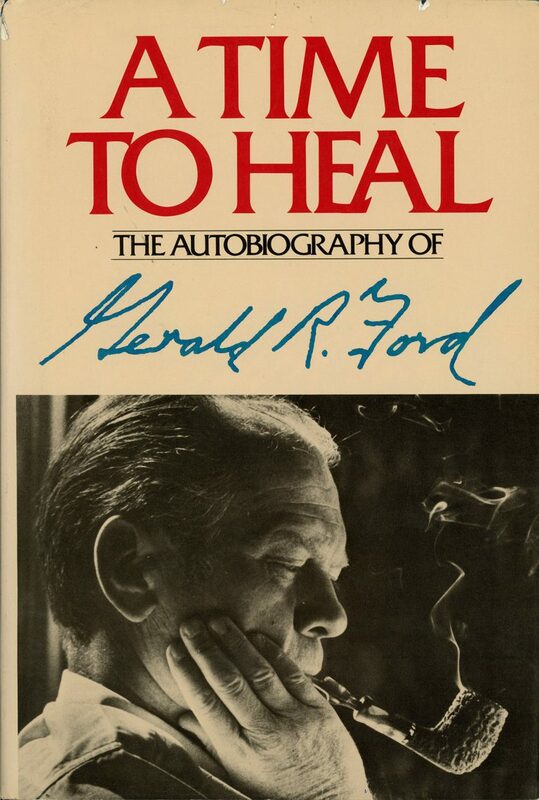 Another remarkable aspect of the Harpers’ publication of this book was that it was the first English translation, completed by Gregory Rabassa. It is rumored that at one time García Márquez remarked that he preferred the English to the Spanish version.